When it comes to choosing a notebook for your class or work project, the color of the cover says a lot about your personality. 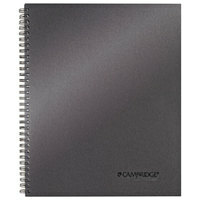 These silver notebooks have a sleek and professional appearance that’s timeless and appropriate for a variety of uses. 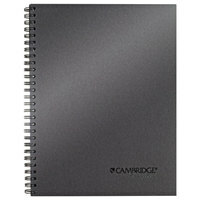 Additionally, many of these products are wirebound, so you can fold the pages behind and create a flat writing surface. Also make sure to check out other great items from Cambridge. Silver notebooks have a neutral appearance that looks great in nearly any setting. The unassuming silver color of these products won’t detract from the decor of your office or classroom. 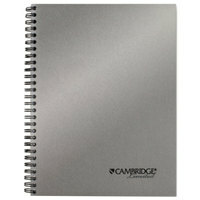 You can even find silver notebooks in different sizes, so there’s sure to be an option to suit your needs. To find related items, check out our construction paper, notebook paper, and pencils. If you're wondering where to buy silver notebooks, we have a large selection of silver notebooks for sale at the lowest prices.